Lots of iPhone 5 pictures have been leaked in the past few days, revealing almost every bit of information related to the iPhone 5 exterior outfit, as well as some clues that have helped build the big picture when it came to connectivity and ports. But what about its internals? 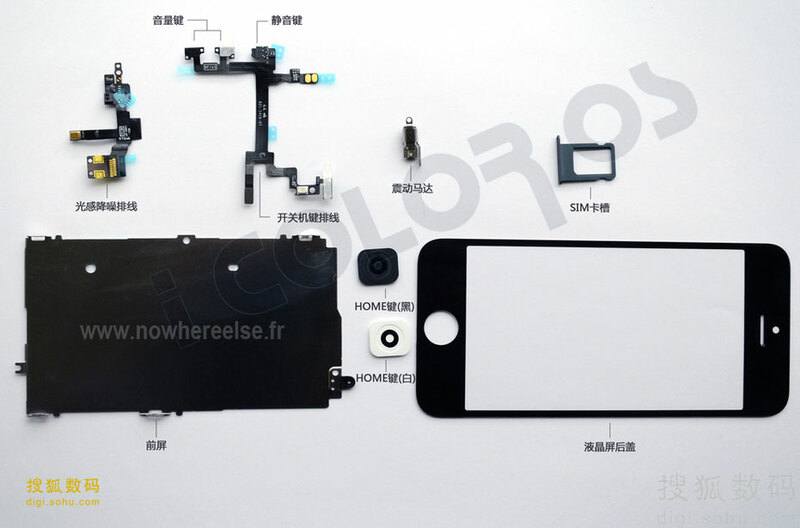 Thanks to a lucky leak, two iPhone 5 pictures capturing every internal part of the future iOS smartphone has been reveled. 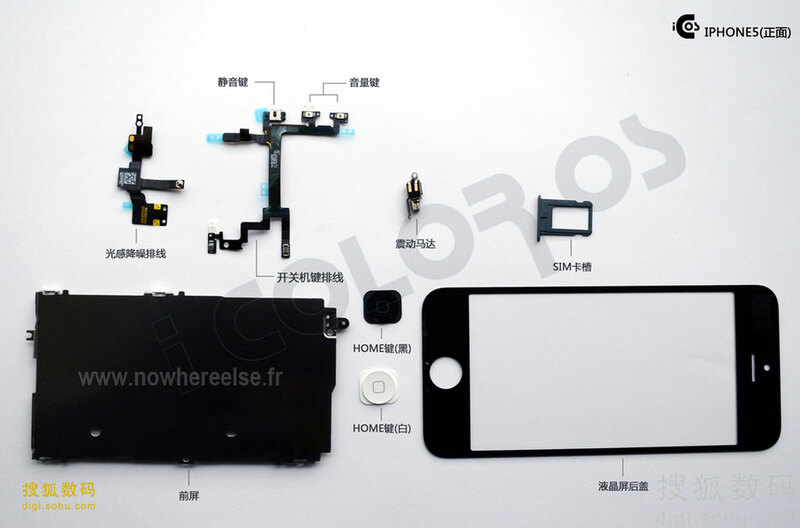 The internals are all aligned next to each other and from what can be distinguished, it looks like the iPhone 5 will integrate several small sensors, a protective glass cover and most components that are pretty standard for a device such as this. Except for one. The sixth-generation Apple phone will come with a thin sheet of metal which will have the purpose of being a protective shield for the 4-inch screen’s back. This part will be assembled under the display itself and will act as a thin layer beneath the touch-panel, one that will protect important parts such as the processor and the GPU. Another obvious purpose will be to stop the heat from spreading from one component to another, but details like this will surely be uncovered in the following month. Besides the metal foil, the SIM tray can also be spotted in these iPhone 5 pictures, which shows just like NoWhereElse reported a couple of days ago. This tray is small enough to accommodate a Nano-SIM card and to offer more developing space, most probably used on a larger battery. Speaking of the battery, this unit has not been captured between the internals of the iPhone 5, but sources claim that Apple is looking to accommodate LTE use by increasing the battery juice with 10 mAh. As for the rest of components, last week a couple of iPhone 5 pictures revealing a fully assembled iPhone 5 have surfaced and if this proves to be indeed the final design, Apple may have opted for an unibody device “painted” in two tones. Apple’s next smartphone is expected to be unveiled on September 12th, with a release date set for later that month. Moreover, the device may not arrive alone, with the next iPad model and a smaller version, the iPad Mini, being also expected. What’s your take on these iPhone 5 pictures? Share your thoughts in the comments below.